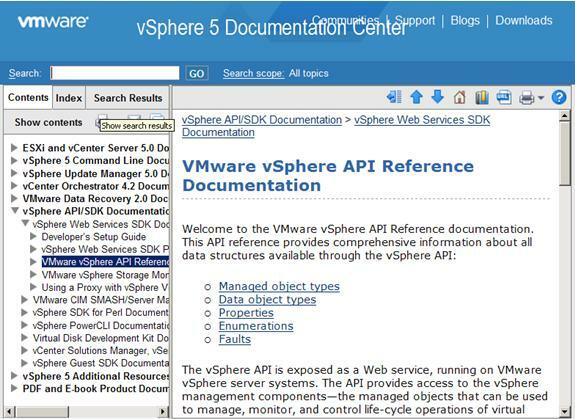 Because vSphere 5.0 is now released, I can talk about the changes of the API in public. As you may have heard me saying many times, management APIs are the “view” to the product. New features can be exposed via APIs. Understanding the changes in APIs helps you understand the product itself. As part of the VMworld #vMeetups in the Community Lounge, this developer/administrator (a.k.a. devops) meet up will take place on August 30th from 12PM to 1PM at VMworld Community Louge, located just outside the entrance to the solution exchange. Because it’s lunch hour, please feel free to bring your lunch.